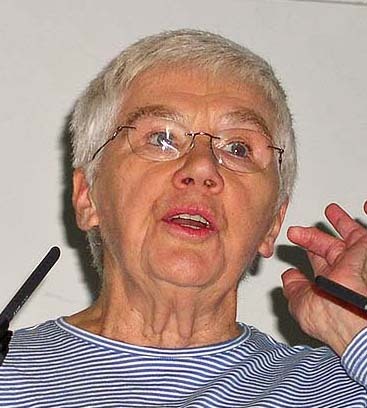 Obituary in PCT&P Bill Warren published an obituary for Dorothy Rowe (1930-2019) in "Personal Construct Theory & Practice". 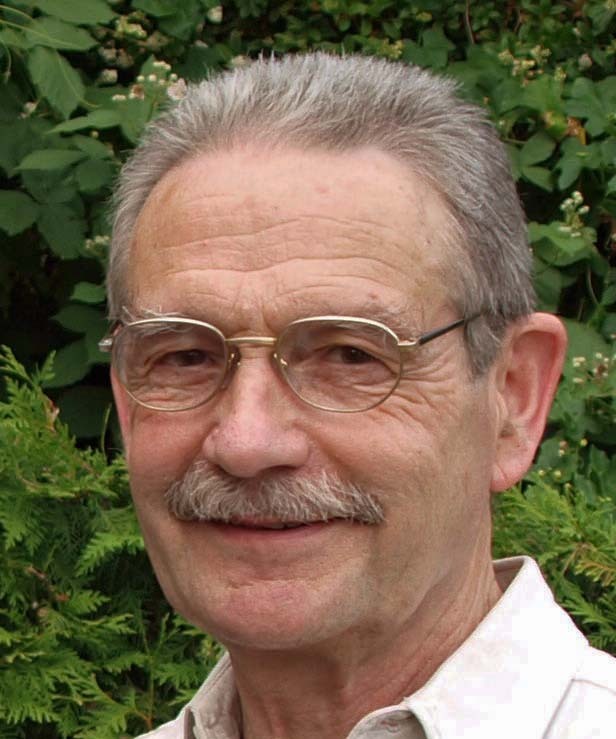 Obituary in PCT&P Larry Leitner published an obituary for Al Landfield (1924-2019) in "Personal Construct Theory & Practice". deadline extended! Desley Hennessy writes about the International PCP Congress in Cairns, Australia from 25th to 28th July, 2019.
date for submission of abstracts to 30th April! 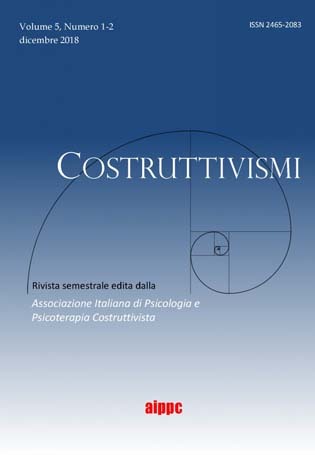 Chiara Lui and Massimo Giliberto have joined the Editorial Team of Personal Construct Theory & Practice (PCT&P). 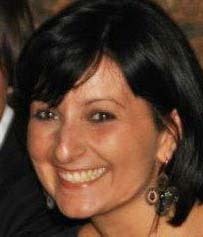 Chiara Lui is now Managing Editor. Viv Burr and Jörn Scheer will stay on board. New article in PCT&P PCT&P opened this year's isue with a discussion paper by Viv Burr and Nigel King on "Interpretive Clustering". 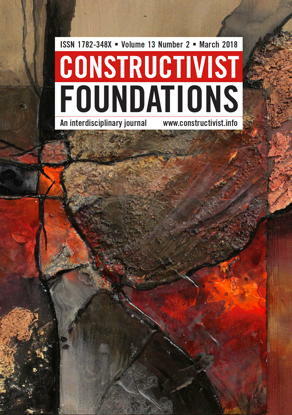 The latest issue of the AHCI journal Constructivist Foundations has been published today. To access the full articles for free visit the website. 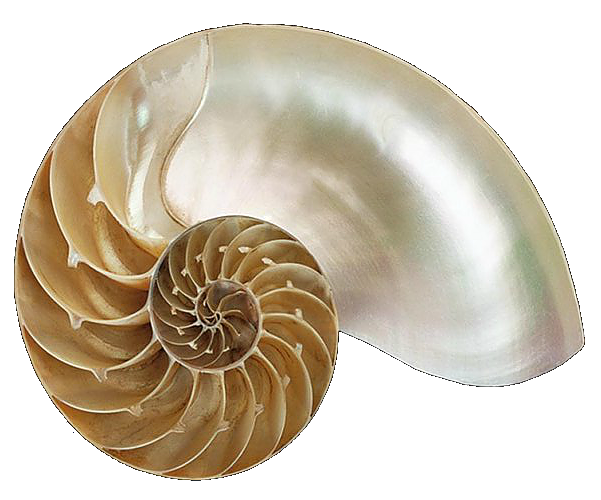 Desley Hennessy writes about the International PCP Congress in Cairns, Australia from 25th to 28th July, 2019. So, if you haven't registered yet, make sure you get in before it's too late! Mary Frances writes that the new winter edition of 'lab notes' is online. “As usual, we have chosen 4 interesting articles/links from a constructivist point of view – this edition features desire lines, echo chambers, teaching tips, and the value of being uncomfortable”. The congress will be held in Cairns, Australia from 25th to 28th July, 2019. There will be a pre-congress workshop on the 24th of July. The theme will be “Ancient Wisdom Anticipating the Future”. Keynote speakers will include Sabrina Cipolletta, Massimo Giliberto and Rosemary Wanganeen. DoubleTree by Hilton Hotel Cairns, 121-123, Esplanade, Cairns, Queensland 4870, Australia. Registration - Deadline extended - see above! is a city of 145.000 inhabitants, situated in northern Queensland, confronting the Great Barrier Reef. July is “winter” in Australia which for tropical Cairns means a mean maximum temperature in July of 26 degrees C. It has an international airport. Al Landfield, one of the last survivors of the first generation of Kellyan scholars, passed away in Lincoln, Nebraska, USA, on 11 January 2019 at the age of 94. 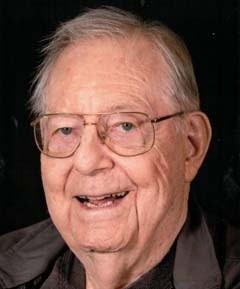 He will be remembered as one of the giants of PCP, author of numerous books, and initiator of the first International Congress of PCP, in Lincoln, Nebraska in 1976. He published an account of PCP's early years in PCT&P in 2011: "Going to Ohio State and to George Kelly". Vol. 5, n. 1 and 2 of the e-journal Costruttivismi have been published. The European Constructivist Training Network (ECTN) would like to invite you to join us for Alpine Tales 2019, the fifth Winter School of constructivist psychology on the topic Body & borders. Where system encounters the world. After the success of the last two years, Alpine Tales returns with new ideas and opportunities that will provide the perfect occasion to experience what living constructivism means. The event is going to be a “tangible experience of embodied constructivism: A “non-scholastic school”, where everybody is a teacher and a student at the same time, just as in life, where everyone has something to offer or to embrace. Teachers, scholars, students, clinicians and other people involved in PCP are going to be living together, sharing ideas and learning from each other, building bridges and sharing resources that will enrich their professions and their experience of Personal Construct Psychology. The Winter School offers a program of workshops, peer supervisions and experiential group activities. There will also be plenty of leisure time, in order to visit the surrounding area, relax or enjoy the local winter sports, socializing and exchanging ideas and interests in a really informal way. This year's edition will be held from the 21st until the 24th of February 2019 and will be hosted in San Martino di Castrozza, surrounded by the beautiful Dolomites, at a hight of 1487 meters. Everybody is invited to participate in the co-construction of Alpine Tales, so feel free to present your experiential workshop proposal interpreting this year’s theme: “Body & borders. Where system encounters the world”! To register, go to the website http://www.costruttivismo.it/alpine-tales-2019/. There are only 36 places available! Please feel free to contact us for any questions or doubts concerning the event at alpine.tales2019@gmail.com ! Desley Hennessy who will be chairing the XXIIIrd International Congress on PCP has changed the name of the Facebook group "Congresses on Personal Construct Psychology" to "XXIIIrd International Personal Construct Psychology Congress" (https://www.facebook.com/groups/1180862295314470/), to inform the about 600 followers of that list. The congress will be held in Cairns, Australia from 25th to 28th July, 2019. There will be a pre-congress workshop on the 24th of July. The theme will be “Ancient Wisdom Anticipating the Future”. Time to adjust your holiday plans for 2019 and inquiring about the flights to the lucky country “down under”! The latest issue of the JCP has a special section on “Constructivism and ethical meaning-making: A target article and responses”. The target article is by Jon Raskin and Alanna Debany, among the responders are Viv Burr and Spencer McWillams. The journal is free for members of the (North American) Constructivist Psychology Network CPN. Rivista Italiana di Costruttivisto, no 11. It is free but you need to register. from 2nd to 5th July, 2020. Many thanks to Dusan Stojnov and his team in the Serbian Constructivist Association. The places of the next European PCP Conferences (EPCA), to be held in 2020 and 2022, will be announced shortly. The XIVth EPCA conference has been held successfully from July 5-8, 2018 in Edinburgh. JCP 2 / 2018 Vol 31, Number 2 of 2018 of the Journal of Constructivist Psychology have been published. 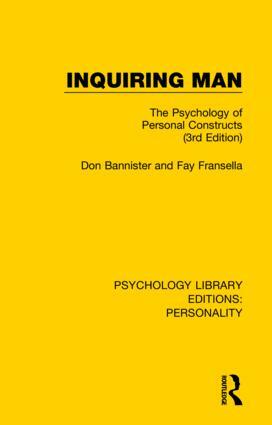 For members of the Constructivist Psycholohy Network (CPN) the subcription is included in the membetship fee. 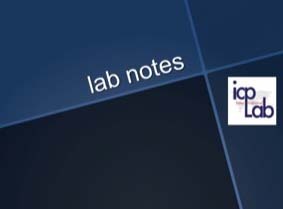 Take a look at the new spring edition of 'lab notes', the online magazine from ICP International Lab. 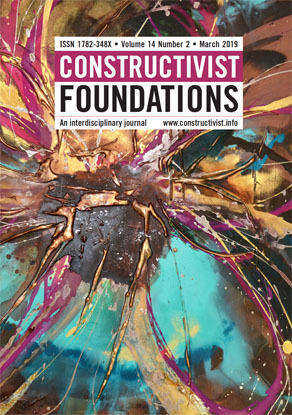 Each issue features four links of interest from a constructivist point of view - all editions are online and free to access. Rep Plus 1.1 is freely available for Windows and OS X and can be downloaded. Rep Plus is intended to replace Rep 5 which became unavailable in 2014, and was designed to be familiar to those who have used Rep 5. It includes more functionality because it is based on our ongoing research since 2002 when a partial snapshot of our code was used to create Rep 5. We have cleaned up many of the extensions to grids made in the 1980s/1990s to support knowledge-based systems development, and brought them into a coherent theoretical framework based on Kelly’s notion of anticipation supported by the “intersection of properties,” have developed new multiple-grid analyses to support colleagues in Sweden carrying out large-scale studies of communities, extended our content analysis tools that served as a a “mode grid editor” to support Honey/Jankowicz content analysis methods, and added quality-control “synopses” of grids to enable us to help colleagues who were having problems in analyzing some of their data. We also developed a WebGrid server that allowed the upload of grid files from most past and present grid programs, made that available to colleagues wishing to put up WebGrid servers, and made it easy for users of Rep Plus to switch back and forth between Rep Plus and WebGrid. Brian’s research in recent years has been primarily on the foundations of logic, and Rep Plus includes semantic network and logical inference/semantic analysis tools which are being made available to colleagues in the logic research community. They also serve to implement Kelly’s model of anticipation and are well-integrated with the grid tools. The manuals show how conceptual structures can be represented in either grids or nets and the equivalence of the alternative perspectives. Hopefully, this may support further research on the theoretical foundations and wider applications of Kelly’s mathematical psychology. Vol. 4, n. 1 and 2 of the e-journal Costruttivismi have been published. They include also some articles in English. 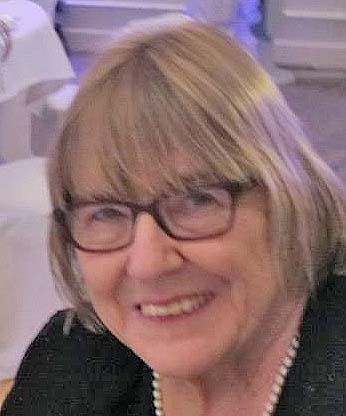 New article in PCT&P Personal Construct Theory & Practice.published an obituary for Helen Jones, wirtten by Peter Cummins.